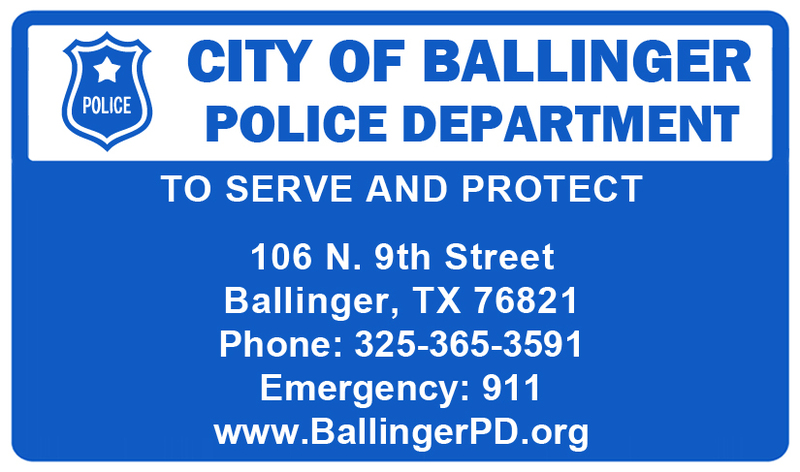 The philosophy of the Ballinger Police Department is one that is built around the central theme of “PUBLIC SERVICE”. Although the public and many inexperienced peace officers may view the role of the police as being exciting, action packed and glamorous, the fact remains that the majority of what we do is simply solving problems for our citizens. 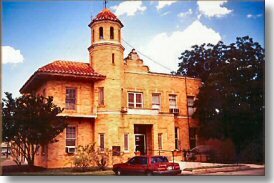 Ballinger Police Department – Located in the Old City Hall at 106 9th Street. There are times in an officer’s career in which the officer is called upon to risk his or her life. This is simply part of the job that we all are aware of. We are proud of what we do, especially when we do it well. We must always strive to be effective for our citizens, even if we are not always efficient. We are a vital part of our community. We will embody good moral character, empathy for others, honesty, integrity and fairness to all. Our officers should develop a philosophy of being here to help our citizens solve their problems, no matter how small, it is still a problem to the citizen and it is the officer’s duty to assist in resolving the problem. We do not say, “It’s not my job”. We do say, “If I can’t help you solve your problem, I will help you find someone who can. We will adopt and practice the PUBLIC SERVICE philosophy. We will be compassionate problem solvers, not rude, unfeeling headhunters that practice being officer, judge and jury. We must not envision ourselves as cold crusaders for Justice. A more appropriate example for us would be vigilant shepherds that care about our community and our neighbors. We are also charged with enforcing the law. We will enforce the law. We will not only enforce the law, but also educate the public in the law and our mission while we are enforcing the law. We will enforce the law in a purely professional manner, without bias and without personal judgment of the citizen that we are dealing with. We will treat all people fairly and equally with no exception. Ballinger is our home. You have the opportunity to help make our home a quality place for all who live here. PUBLIC SERVICE is how you can attain this goal.